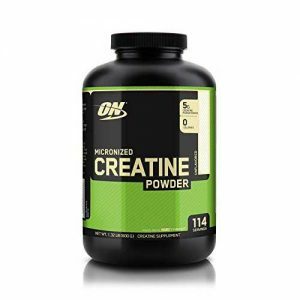 Optimum Nutrition Micronized Creatine Monohydrate is a well-researched and straightforward fitness supplement. This product will help to increase your body strength so that you can improve your daily workout performance. It also enables your body to perform more laborious exercise so that your body can gain lean muscle mass. Creatine monohydrate is flavored less and also odorless supplements, which can quickly get mix with water, juice or any protein shake to help you in getting your desired body weight and shape. Females can also use this product to get the perfect fit body. And it also works faster than just regular exercise. Optimum Nutrition is the manufacturing company of Creatine monohydrate nutrition supplement. It is one of the most trusted and famous companies in sports fitness supplement industry. This company started in the year 1986, and in no time it became a well-known and reputed company by supplying a safe and reliable product to its customers. The only goal of the company was to provide its customer a high quality and safe product and set a new high standard for sports nutrition industry. This company offers various sports nutrition product, and some of the products are also awarded as the best supplement of the year. For advice and additional information about this supplement or helpful tips, you can contact the manufacturing company directly at the following phone number: 1-800-705-5226. Creatine monohydrate is to be taken along with a healthy diet and daily exercise. This will increase power and muscle strength of your body which will help in improvement in your performance in high-intensity exercise. Intake of this supplement will also increase your energy level and will also fasten up your recovery rates. To give you perfect muscle and body shape it will minimize protein breakdown of your body and increase energy reserves in muscles. The product mixes easily with any solution. As it is micronized powder, so it stays longer in solution than any other non-micronized powders. The product will help your body to build healthy muscle so that you can get your desired body shape and weight. The product is safe to use and also effective. Only exercise and a healthy diet will take a longer time to get your fitness goal, but if you are adding Creatine monohydrate, it will give you the quick and perfect result. The good thing about this product is that you can combine it with any other mass gainer as well as a testosterone booster. By mixing this powder with mass gainer or testosterone booster, it will help you to get your goal on bodybuilding faster. Fat persons will get benefit from it as your fat burner. The lady bodybuilder can take this powder with a fat burner. This powder also helps to get energy on pre-workout on the gym. How Much Does Micronized Creatine Powder Cost? Micronized Creatine Powder is a lot less expensive than other similar nutritional supplements. It can cause stomach irritation. Individuals under the age of 18 should not take this product. Expecting mother should avoid this product. An individual should start this product by consulting a healthcare professional. The individuals who are under any medication should not continue this product. Where To Buy Micronized Creatine Powder? Micronized Creatine Powder can be ordered online from different places but our recommendation is to either buy it directly from the manufacturer or purchase it from trusted online retailers which may offer you discounts. We did a research on other products from Optimum Nutrition. Here is a complete list.